Motorists looking for car buying advice may be interested to hear Alfa Romeo's latest model will be available to view in showrooms across the country from next month. 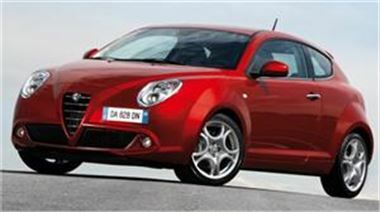 The Alfa MiTo - which is not launched officially until January 24th 2009 - made its world debut at this year's British International Motor Show. According to the manufacturer, the model shares styling cues with the Alfa 8C Competizione supercar - the winner of the best design award at the 2008 Auto Express New Car Honours. It claims the vehicle also features technology not usually seen on this class of car, including an electronic system which means the motor reacts to changes in driving style and conditions. Buyers will be able to order the model from next month and prices start from £10,975. Meanwhile, industry experts CAP have predicted the Alfa MiTo 1.3 JTDM Veloce will retain 47 per cent of its value after three years and 60,000 miles.